Blackberry has long been known for its triumphs in software and security. Since the company’s 2015 decision to put its newest devices exclusively on the Android OS, Blackberry and Android’s software worlds have been settling in together, attempting to take the best from what the other has to offer. In an effort to bring some of Blackberry’s most popular features to non-Blackberry branded phones, XDA Senior Member, and creator of the Google Play Store port to Blackberry 10 OS, cobalt232 has released Blackberry Manager. 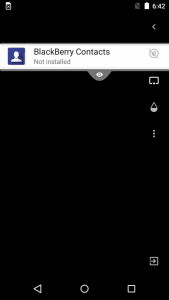 Blackberry Manager enables any Android phone, running 5.0 or higher, to download free versions of several Blackberry applications, patches them, and keeps them up to date. Root access is not needed in any capacity and the APK can be downloaded here. Please be sure to download Blackberry Manager and check out all the goodies this app has to offer! 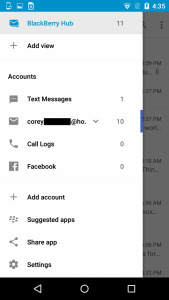 Blackberry Hub is a central communication “hub” for your calendar, emails, text messages, and phone calls as well as third-party social media, messaging, and calling apps. This can include content from Whatsapp, Facebook, Slack, and more – creating a single point from which any of these communications can be composed or received. 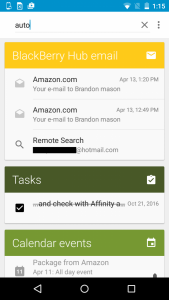 Adding to its value is the fact that the Hub’s functionality is not dependent on the use of Blackberry Contacts or Calendar. 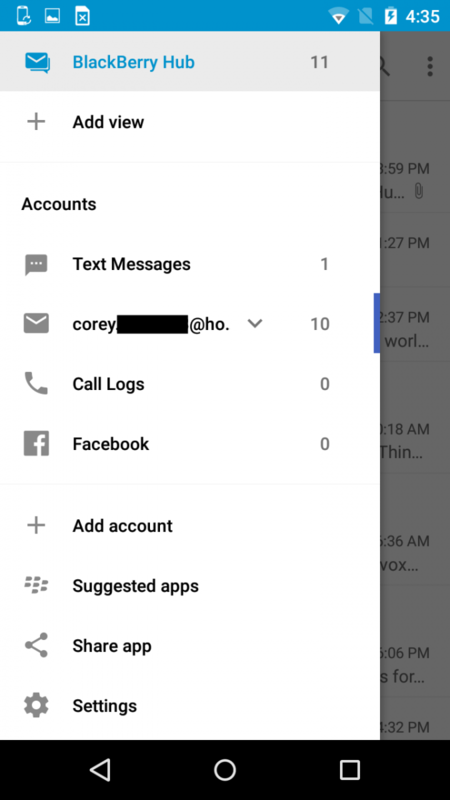 By default, Blackberry Hub uses the devices currently installed apps for each, though Blackberry Contacts and Calendar can of course be installed to take their place. While the convenience of Blackberry Hub is readily apparent, the added security, on which many Blackberry owners rely, is for now absent from non-Blackberry devices. Aside from lacking the hardware-level cryptography found in Blackberry handsets, the ability to send and receive encrypted mail is not yet supported on non-Blackberry phones, though the company’s website indicates this will be coming in a future update. It’s also important to note that installing Blackberry Hub+ services is essential. 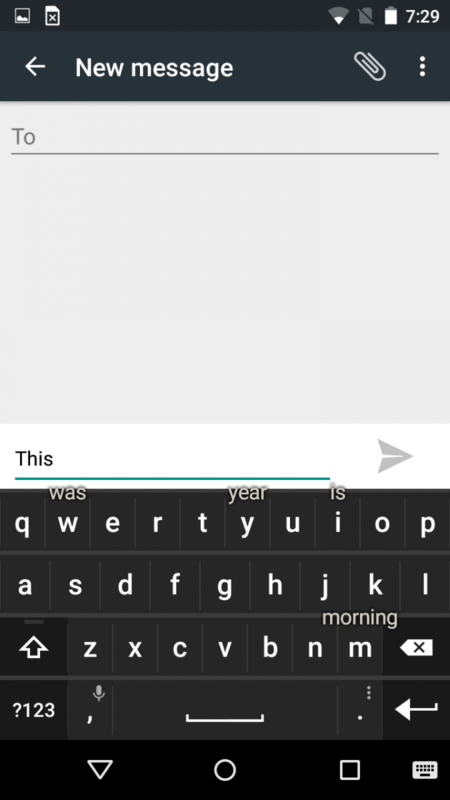 For instance, the Blackberry Keyboard will not learn from your previous typing without it. Known for its innovative take on predictive typing, the Blackberry Keyboard’s signature feature simultaneously improves predictive accuracy while offering more options over other such implementations. By displaying word options over each of the predicted next letters for a given word – as it’s being typed – (determined by the current point in a word or sentence) the user can simply swipe up on the letter offering the correct prediction when it presents itself. 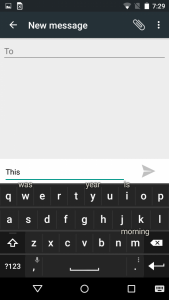 Compared to predictive text on other software keyboards, the Blackberry Keyboard not only offers more words, but more accurate and dynamic suggestions. Even more impressive is its native ability to offer predictions and corrections in up to three languages at the same time. An app born of the need for useful local device search on Android handsets, Blackberry Device Search can quickly find contacts, tasks, calendar events, emails, passwords, text messages, files, and songs – all of which are searchable regardless of the default app used to access them, save for tasks and passwords. 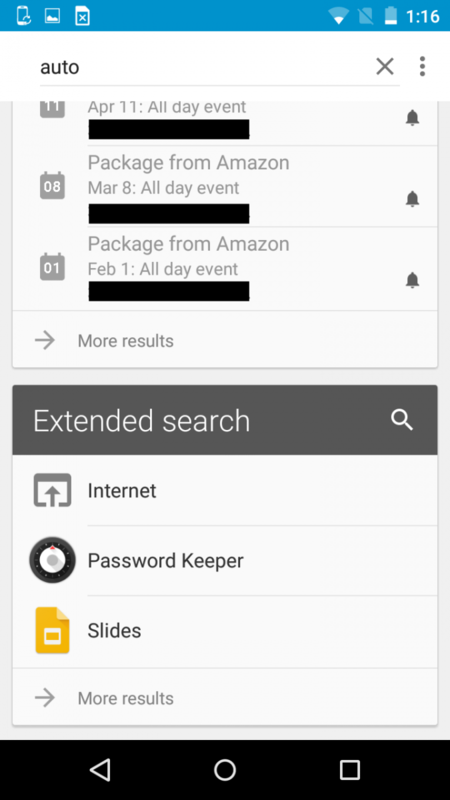 For instance, Blackberry Calendar doesn’t need to be installed for Device Search to find calendar events, though Blackberry Password-Keeper is required to make credentials searchable. 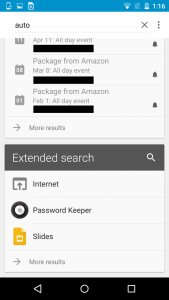 Even content from third-party apps such as Google Docs and Facebook can be queried through the extended search function. Quite a useful tool for keeping track of various forms of data, regardless of the channels through which you receive it. 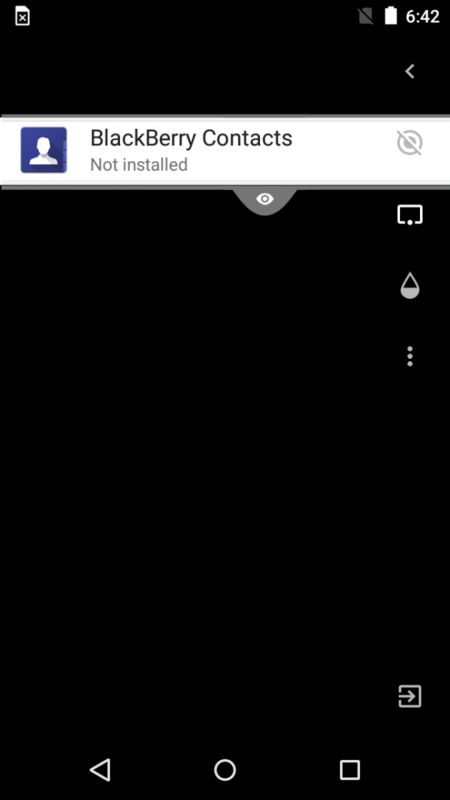 More in the vein of Blackberry’s security obsession, Blackberry Privacy Shade transposes an opaque or translucent black shade over the entire screen – leaving only a small, movable window through which to view content. 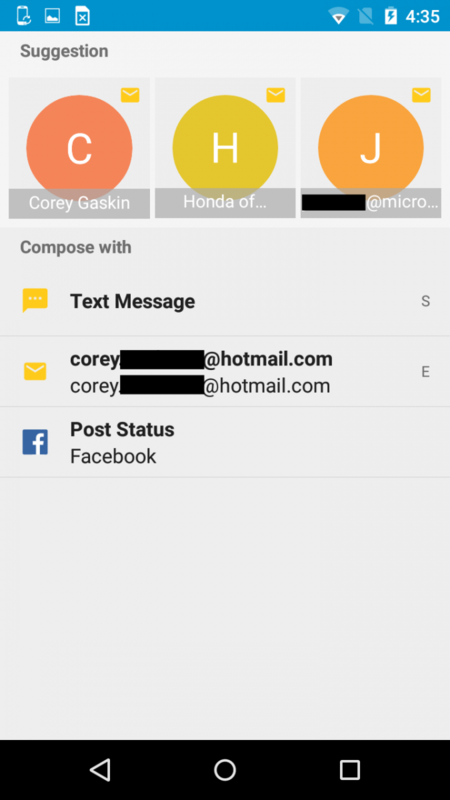 A nice feature for those who may need, or simply appreciate, such options for privacy. Enabling this is as simple as pulling down the notification center and tapping the corresponding widget. 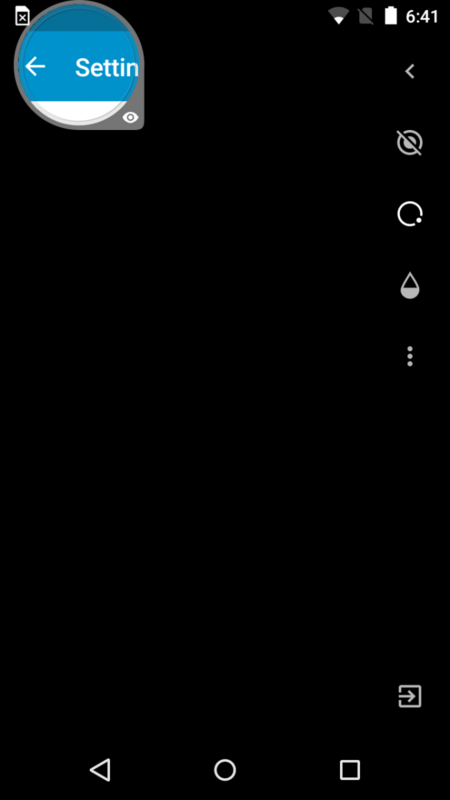 Although there are already free alternatives that have been released on the Play Store which copy this functionality, Blackberry’s option works just as well, and will hopefully be kept updated for much longer. 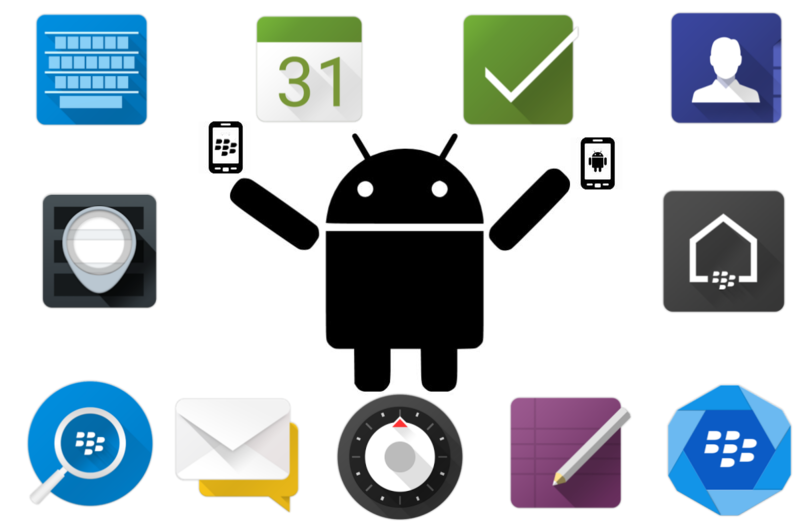 Have you tried any of Blackberry’s universal Android apps? If not, will you? Please share your experiences in the comments below! Check out a full list of Blackberry’s Android apps in the Google Play Store.